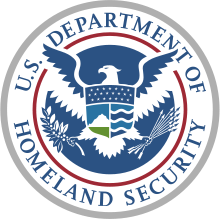 FedScoop reports on the recent industry day hosted by DHS to highlight the department’s Flexible Agile Support for the Homeland (FLASH) contract. Vendors aspiring to the contract must demonstrate concepts promoted by the Digital Services Playbook, including iterative development cycles, user-centered design and DevOps practices. Eric Hysen, director of DHS Digital Services, said vendors who want to participate not only need to “check off all of the boxes” on the agile playbook, but understand why the process needs to be instilled in the agency. [DHS] and take a broadly-scoped set of problems and turn that into a minimal viable product and get to delivery fairly quickly,” he said. The awards will be a mix of work inside existing code bases to upgrade legacy systems and new projects.